We need your help to create a youth-run crêpe cart with 100% of the profits to be used to eliminate youth homelessness in Australia. 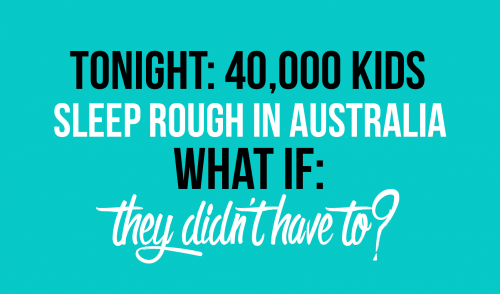 There are over 40,000 young people sleeping rough in Australia EVERY night. It's hard to believe, but it's true. And clearly, that's 40,000 too many. Our plan is simple: we will roam Victoria's streets, markets and festivals and spread the crêpe love for the benefit of those who need it more. We also want to establish a program allowing us to employ, train and support young people who are homeless or at risk of homelessness, and allow them to find long-term employment and prosper on their own. $10,000 will allow us to get over the line - but we'll need double that to fully achieve our goal. We're just a couple of Melbournians with big ideas. It's a HUGE problem in Australia! We live in a pretty great country, there's no doubt about it. And we live in an exciting time full of opportunities to be had, but the sad reality is that not everyone starts off from the same level. Many people lack not only the tangible basics such as food and accommodation, but also the things that shape a person's life immeasurably: a loving family, inspiring teachers and mentors, support from their community and people who will give them a shot. It's heartbreaking to see people unable to leverage themselves out of a bad situation. Bar fridges x3 - $100-500 ea ($500-$1500). Get onboard, get excited and tell your friends. Also, if you happen to have any of the items we need lying around unwanted - let us know! We can put them to good use. Eliminate youth homelessness! A social enterprise in the form of a crêpe cart roaming Victoria’s streets, markets and festivals with 100% of the profits going to the cause. If you're broke - you can still help us out! We appreciate every cent. For a price of skinny soy decaf mocha latte we'll get your name up on the website and our Facebook page. Hats off to you. For $29 bucks you’ll be part of something great and have lots of good karma coming your way. We’ll also send you a nice personalised certificate to say 'thank you'. 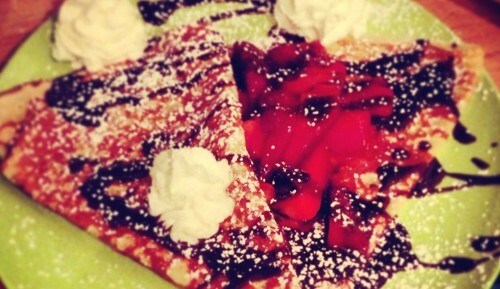 For a cool fifty we'll swing you a voucher for 10 free crêpes of your choosing. Don't eat them all at once! We'll also send you a nice 'thank you' certificate. $59 Custom apron + Crêpes! Yay! For fifty-nine bucks you can get yourself a custom Crêpes for Change apron and a voucher good for 10 crêpes - any one you want! Think of all that Nutella. We'll also send you a nice 'thank you' certificate filled with plenty of compliments to put a smile on your face. $99 Your name on the cart! You rock our worlds. For a crisp green one you get your name on the actual cart! You can admire how good your name looks under the 'Thanks to' section on the side while you munch into your crêpe. You'll also be the lucky recipient of a crêpe voucher good for 20 of any crêpe you choose (redeemable whenever you like). The accompanying 'thank you' certificate is also guaranteed to put a smile on your dial. One dinner date with your favourite member of Crêpes for Change. Clearly, this is incredible value. Tinder not required. If you pledge one-fifty, we will certify that you are an official superstar. This is a lifetime title – your name will be on the side of the cart under the ‘Superstars’ section. Use your powers wisely. You’ll also get a voucher good for 25 crêpes! (Whichever ones you like, redeemable anytime) and a 'thank you' certificate telling you how breathtakingly incredible you are. Have you ever fancied yourself as a deity? For a little under two-fifty, you will officially be a ‘God-level’ supporter of Crêpes for Change. You’ll get your name on the side of the cart as a God or Goddess of …crêpes. You’ll also get a crêpe voucher good for 30 crêpes of your choosing, redeemable at a time of your choosing. That is an obscene amount of crêpes. We'll also send you the best 'thank you' certificate and card you've ever received in your life, guaranteed. A crêpe named after you! In addition to having your name on the 'God-like' supporter section on the cart itself, we'll also name a crêpe after you! If you're keen, you can have a chat with us and we can decide what goes in it together! M&Ms? Marshmallows? Be quick, only 2 of these available. 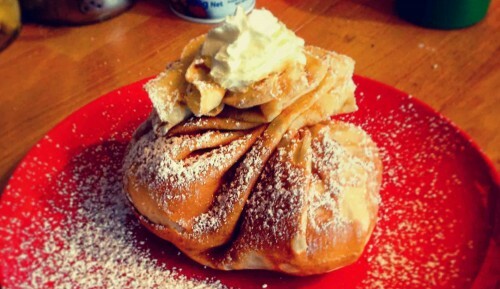 You'll also be the lucky recipient of a voucher good for 30 crêpes! We'll come round to your next party/function/event and spin crêpes for you and your friends/entourage! Max. 80 people. If you want to sponsor us - get in contact! We'll make it worth your while.